This EE Times blog in Designlines Automotive titled, How to Not Fail ISO 26262, is written by Kurt Shuler, VP Marketing at Arteris IP. 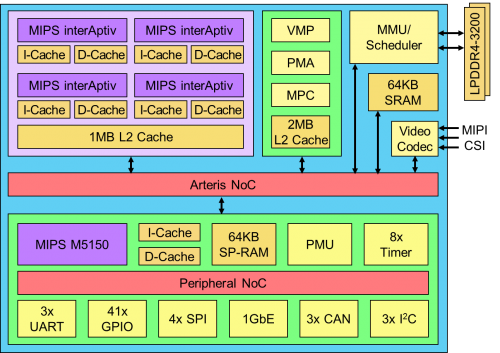 This EE Times blog in Designlines Automotive titled, Auto OEMs, Tier-Ones: Think SoC Designs, is written by Kurt Shuler, VP Marketing at Arteris IP. 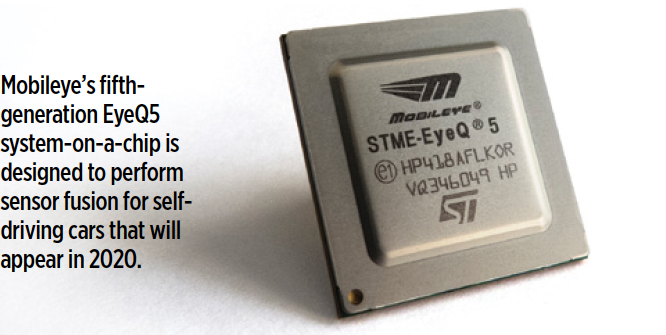 If you're a car nerd like me, you've probably already read this month's SAE Automotive Engineering magazine article by Steven Ashley titled, "Mobileye: New eye on the road." It includes an interview with Mobileye co-founder and CTO Amnon Shashua and you can read it at http://magazine.sae.org/17autp03/. I am often asked by engineers who are not experts on autonomous vehicles exactly how the semiconductor systems in a car work as the brains of an autonomous system. A follow-up question is usually about vendors' current products and market trends. I often start of by describing the current state-of-the-art in advanced driver assistance systems (ADAS), the importance of functional safety standards for these systems, and then talk about the technology gap we need to traverse to be able to create fully autonomous systems. I invariable end up babbling incoherently in a flurry of abbreviations and acronyms: NHTSA, ISO 26262, SEooC, V2I, CNN, etc.